Almost all essential oils, when diluted or mixed with a carrier oil have a positive effect on the skin. Finding the best oils for skin care involves choosing oils that are non-irritating, nontoxic and non-sensitizing. 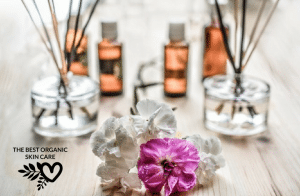 To get on my best list, the essential oils must be non-phototoxic (when something is phototoxic, it reacts to sunlight and causes skin damage). 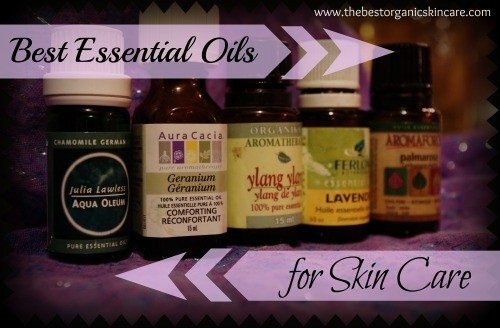 The following essential oils are renowned for their use in skin care. 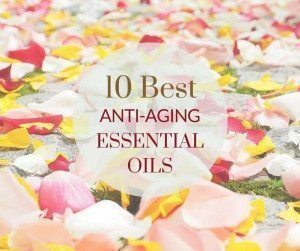 They are the best essential oils for helping your skin look and feel amazing. All of these oils have sebum balancing, cell regeneration, and antioxidant properties. If you see these oils on your skin care product ingredients list, you will know why they are there. A quick note about essential oil safety: Always dilute your oils, and never take them internally. 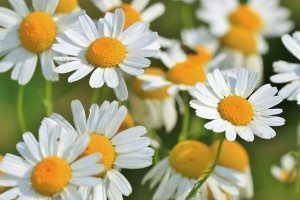 Chamomile is calming, soothing, and healing. It is anti-inflammatory and antiseptic, helping with skin complaints such as allergies and eczema. It is suitable for use on fragile skin, helps speed wound healing and can relieve itching. The astringent nature of geranium oil means it tightens the skin, reducing the appearance of wrinkles, and delaying some of the signs of premature aging. It speeds healing, promotes cell growth, encourages the recycling of dead skin cells and the regeneration of new cells. Geranium oil has balancing properties that benefit both dry and oily skin. Jasmine oil boosts skin’s elasticity and helps balance moisture in the skin to naturally diminish dryness. It is a cicatrizer, meaning it can fade scars. It helps balance all skin types without irritating, making it great for dry, greasy, or sensitive skin. Lavender is one of the few oils that can be used on the skin without being diluted. It is by far the safest oil out there. Lavender is great for the skin because it can help normalize oil production. It is antiseptic and anti-fungal, helping to curb acne breakouts. It helps speed healing by encouraging cell regeneration. 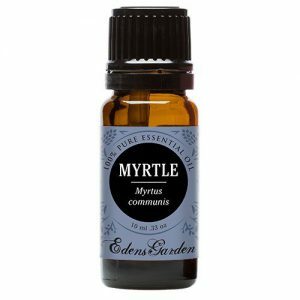 Myrtle is a powerful tonic for the skin, it has antiseptic, and astringent properties. It tightens and balances the skin, and is particularly useful for oily skin and enlarged pores. Neroli smooths the skin, improves elasticity, and reduces dilated capillary beds. It can help relieve under eye circles, balances oil production, cleans dirt and unclogs pores. It increases blood flow and does not degrade when exposed to heat and UV light. It is one of the few citrus oils that does not cause photo-sensitivity. Palmarosa moisturizes the skin, helping to keep skin supple. It balances hydration levels, while stimulating cell regeneration and keeping skin elastic. It has a balancing effect on sebum production, making it valuable for people with acne. 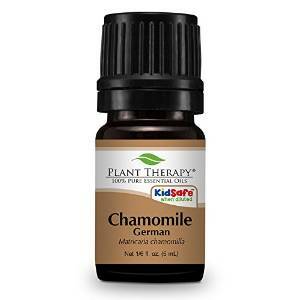 It helps heal and prevent scarring and fights minor skin infections. Patchouli oil’s skin benefits include: cell regeneration, tightening and toning sagging skin, hastening and healing wounds, and fading scars. It can calm skin issues such as sunburn and eczema. It regulates sebum production and is anti-inflammatory. A cleansing oil, it is a powerful antiseptic, cleaning and toning the skin. It reduces excess oil without over-drying. This is another citrus oil that is not photo-toxic, it has all the clarifying and balancing properties of citrus oil’s without the worry of wearing it in the sun. Improves skin elasticity, encourages cell renewal, tightens and tones, diminishes scarring and fine lines. Rosewood oil balances oil production and has anti-aging effects on the skin. It is useful for mature skin, by hydrating and softening the skin. Tea tree oil is a powerful anti-bacterial, anti-viral and anti-fungal herb. It is great for killing the bacteria that cause acne (one study found it to be as effective as benzoyl peroxide). It is a wound healer and is anti-inflammatory. It can be used without a carrier oil, but I wouldn’t recommended it on your face. I used to put it on my face undiluted, until I became sensitized and it gave me a chemical burn. Vetiver is a cicatrisant, it works to heal old wounds by building up new tissue. It can speed up the fading of scars, dark spots, and other marks on the skin. This creates a more even skin tone. This oil is nourishing and hydrating, it helps skin hold onto moisture. It can help soothe dry cracking skin. 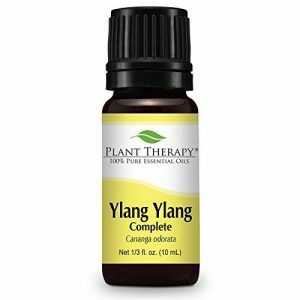 Ylang-ylang has a soothing effect on the skin, it balances sebum production, benefiting both over-oily and over-dry skin. It is antiseptic and can be used to clean wounds and fight infections. Always dilute your essential oils (even lavender and tea-tree) to avoid sensitization. When using an essential oil for the first time make sure to perform a patch test, to make sure you won’t have a reaction. Remember with essential oils less is more. These are highly concentrated plant extracts, use only what the recipe calls for. 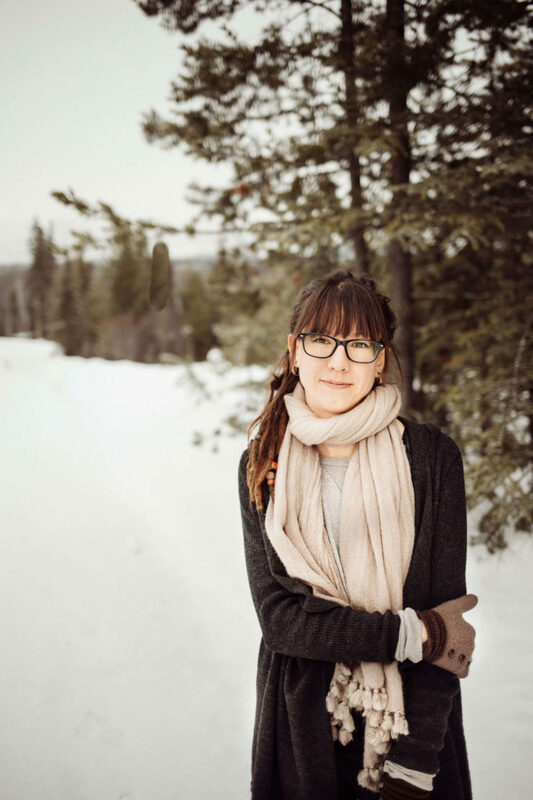 Thanks so much for reading, I hope you have discovered some great essential oils for skin care! If you have any questions or comments, please leave them below. First, thank you for the detailed read!! Second, do you have any home made facial moisturizer recipes? I would like to be able to make my own so I know everything that’s in it! step 1: Melt shea butter in a double boiler over low heat. Mix in emulsifier and vitamin E, stirring continuously. step 2: Heat the water or hydrosol in another double boiler. step 3: when both the shea butter mixture and the hydrosol reach a temperature of 170 degrees Fahrenheit (use a candy thermometer to test the temp), turn off the heat and pour the shea butter mixture slowly over the water/hydrosol, whisking vigorously. step 4: The mixture should turn into a whitish creamy texture. Keep whisking until it reaches 100 degrees Fahrenheit. Step 5: Add the extracts and the essential oils and whisk until totally blended. Transfer to a jar and allow to cool to room temp before putting a lid on. Hi! Thank you for the article. I am just curious…in your opinion which oil would be best for super dry skin? 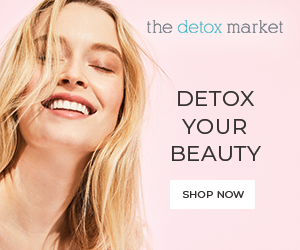 Also an oil that regenerates elasticity… I’m seeing some fine lines (I’m 31)… I was told that is because my skin is so dry and is also losing tone and elasticity… You listed so many good oils but I’ve never used them before so I don’t know where to start! Also you say to dilute it? Can that be with water too? Or does it have to be another oil? 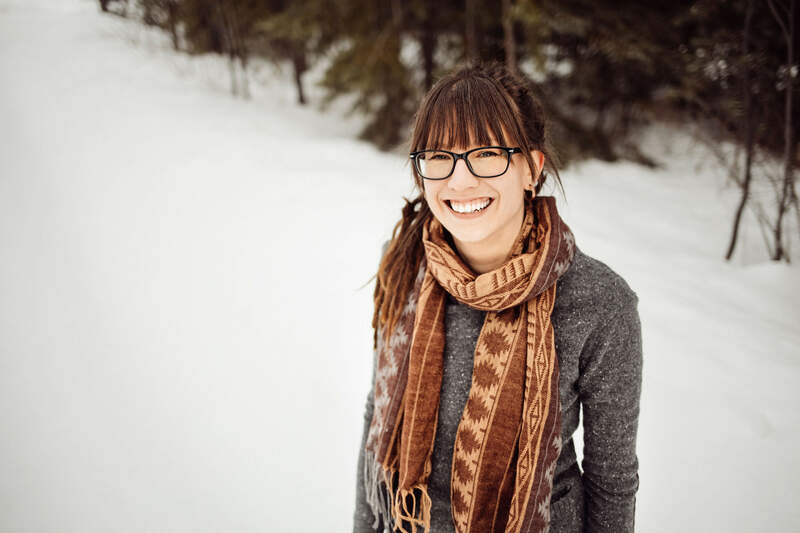 Hi Kailey, thanks for your questions. For dry skin I recommend Rose essential oil (learn more here) 🙂 Rose oil is expensive to buy on its own, but one bottle will last you many years. 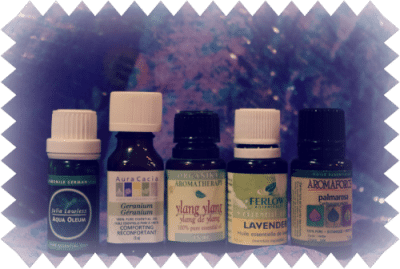 Yes, you must dilute essential oils before using them. My favorite anti-aging carrier oil for dry skin is Marula oil. You can create your own facial oil using just marula oil and rose oil. You can’t really mix essential oils with water, they tend to separate. It is better to dilute them in a vegetable or seed oil. Hope that helps, let me know if you have any other questions! I was wondering if I could use my kokum butter instead of the She butter?